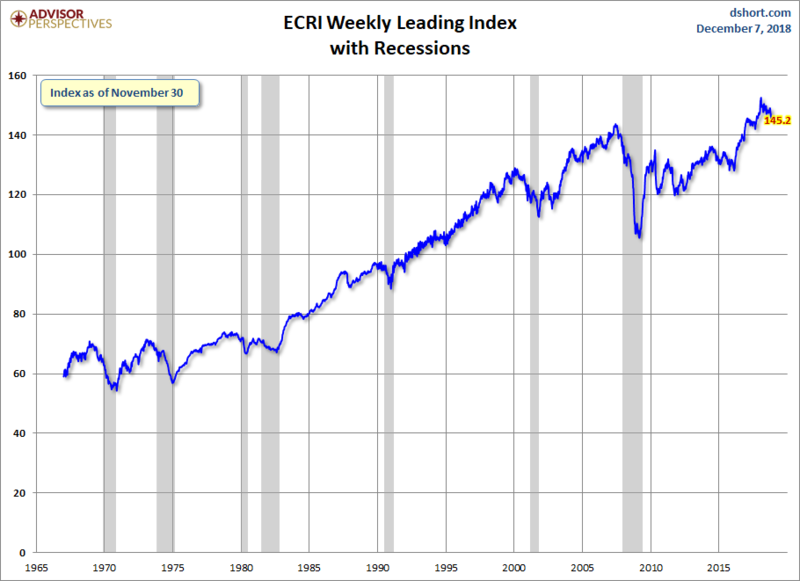 ECRI Weekly Leading Index Update: "Falling Growth In Hours Worked"
This morning's release of the publicly available data from ECRI puts its Weekly Leading Index (WLI) at 145.2, up 0.1 from the previous week. 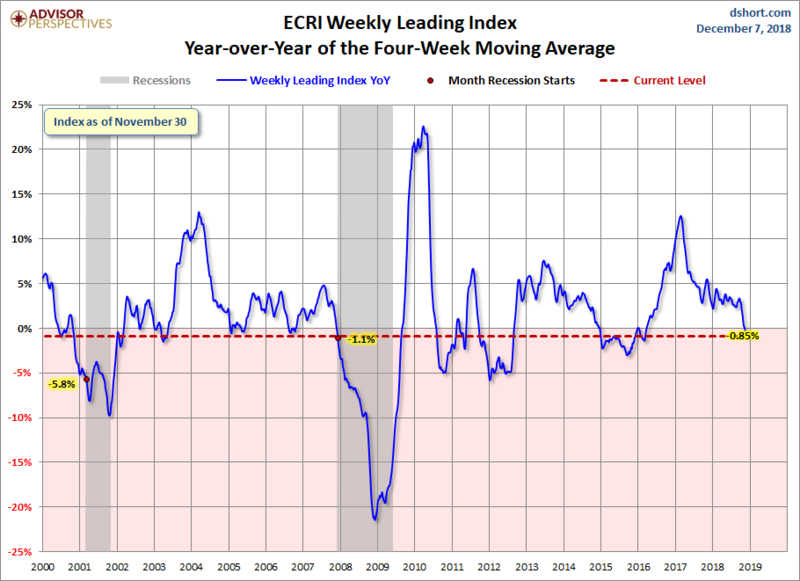 Year-over-year the four-week moving average of the indicator is now at -0.85%, down from last week and its third consecutive negative week since April 2016. 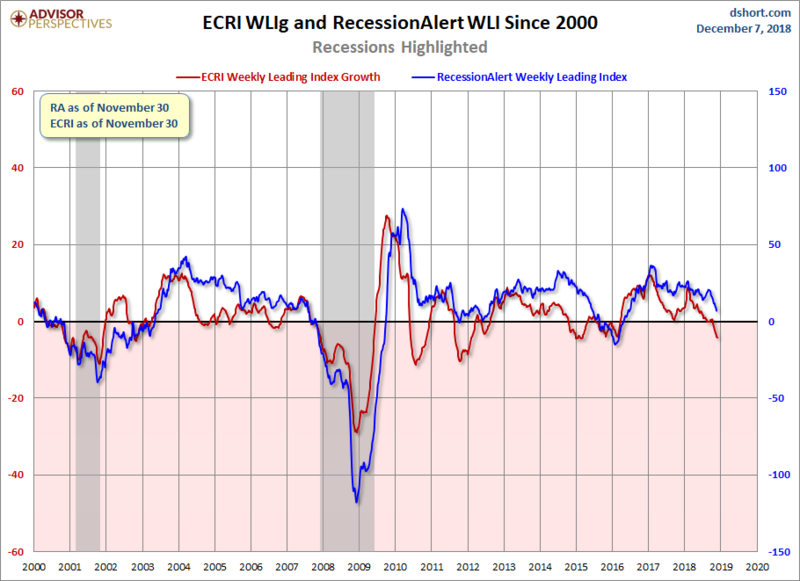 The WLI Growth indicator is now at -4.12, also down from the previous week. 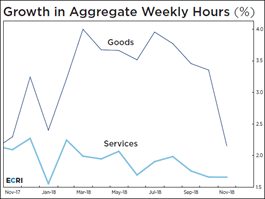 "Falling Growth in Hours Worked"